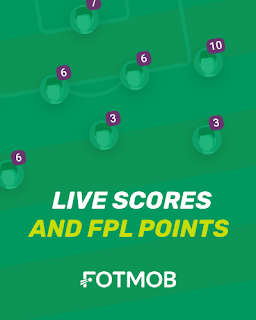 If you’d like to get involved this week by challenging us, simply create your lineups for Gameweek 25 today via the FREE Apple or Android apps. Spurs may find themselves up against a Manchester United defence that has failed to concede in its last 4 league games, but Harry Kane has shown us time and time again that he can find the back of the net no matter who the opposition. Closer inspection of those 4 United clean sheets show us that they allowed 45 shots on goal. It's fair to say that at times United rode their luck. A striker with Kane’s ability will cause that United defence more problems and I expect him to add to his current run of 3 goals in 2 games. Having scored 2 goals from his last 3 games, Andre Gray has hit some form and can now challenge Troy Deeney as Watford’s main striker. Watford’s overall form has not been great of late, but the new manager effect always brings the best out of a team and Stoke City will count themselves unlucky at the timing of this fixture. Stoke themselves have started playing better football, but after conceding 10 goals in their last 5 league games, Gray could do some more damage on Wednesday. There is no denying that the 2015/16 player of the year is on form again - scoring in the 2-0 win over Watford to make it 8 goals and 10 assists for the season. On Wednesday, Leicester host Everton who have now gone 6 league games without a win and have conceded 9 goals in their last 4. 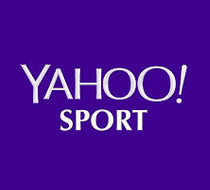 Both Mahrez and Vardy continue to be tempting options for the forcible future with a fixture list that has caught the eye of many fantasy football bosses. Paul Lambert's arrival at Stoke has already resulted in an increased attacking threat within their line-up. They may have lost 3-0 to Manchester United but Stoke were very unlucky not to score, Shaqiri also denied by a fantastic save from David De Gea. They followed this up with a 2-0 win against Huddersfield with Shaqiri recording an assist. They have Watford up next, who haven’t kept a clean sheet in their last 11 league games, this is a great opportunity for Shaqiri and Stoke to build some momentum. Otamendi has created a name for himself this season as a defender who poses an attacking threat as well as clean sheet potential. West Brom made life difficult for Manchester City at the Hawthorns early in the season, scoring twice despite losing 3-2. At the Etihad, I can’t see West Brom causing the same problems again. Otamendi was unlucky not to score vs Liverpool after hitting the post, he's due some more attacking returns. You won’t have seen many Southampton defenders in articles like this one often since the opening weeks of the season. So how has Bertrand found himself a place as this week’s differential defender? Well the reason is Brighton’s attacking returns, or indeed their lack of attacking returns, with them failing to score in 4 of their last 5 league games. From his left back position Bertrand is also an attacking threat, having created a goal vs Spurs, his fourth assist of the season. Chelsea continue to rack up the clean sheets - 6 in their last 7 games - should a home fixture vs Bournemouth prove to be any different? The Cherries picked up a good win at Arsenal, but a 3-0 defeat to Wigan in the FA Cup brought them back down to earth and highlighted their struggles away from home. Courtois currently has a 75% chance of playing, he should be available. If not, I recommend you switch to Caballero, as a Chelsea goalkeeper will prove key on Wednesday. Burnley aren’t quite having it their own way lately and the clean sheets have dried up. That said, having lost their last two games only 1-0, their defence is still tight and you could argue that they were the better team in the defeat to Manchester United. I think the game vs Newcastle is a chance for us to see those #PopeMee celebrations return with a clean sheet at St James Park. Well this was a tough decision and I was close to going with Harry Kane, however due to having both form and a more favourable fixture, this week I have gone with Mahrez as my recommended Starting 11 captain pick. 3 goals and 2 assists in his last 5 games (only blanking away to Chelsea during that period). I expect him to continue providing those returns. Having moved back out to the right wing, instead of playing as a number 10, seems to have suited the Algerian, finding more time and space away from the congestion in the middle of the park. He gets the armband for me this week. Stubbornly holding on to a player can be fatal in Fantasy Premier League - but managers have been finding out recently that selling one too soon can be every bit as calamitous. 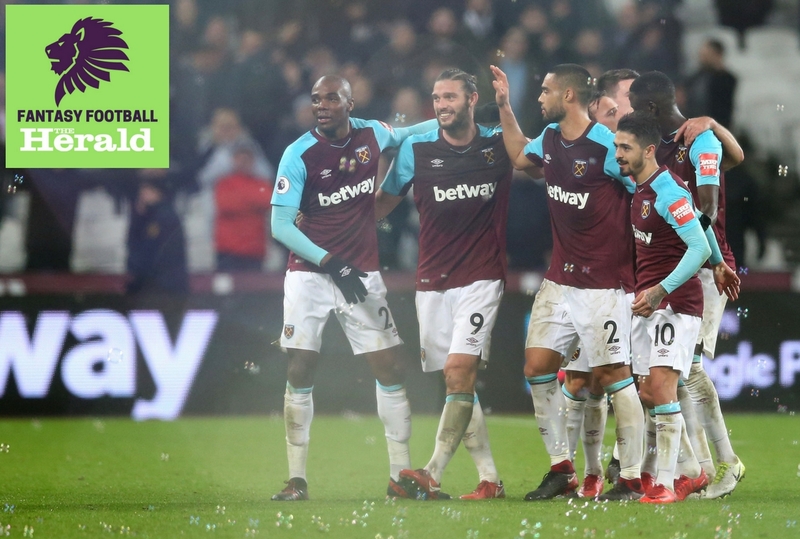 We're all familiar with the sight of a former favourite scoring a brace on his very first week out of your squad - but when it comes at the end of a string of two-point Gameweeks, we rightly shrug our shoulders and put it down to bad luck. However, when we opt to sell perfectly good players in the gluttonous pursuit of even greater rewards elsewhere, it's hard to be quite so philosophical. When GW23 rolled around, former owners of Mohamed Salah (LIV, 10.2) who swapped him out for a Spurs or West Ham Double-Gameweeker were already smarting from his failure to drop in price. If you’d like to get involved this week by challenging us, simply create your lineups for Gameweek 24 today via the FREE Apple or Android apps. Romelu Lukaku marked his return to the Manchester United starting line-up during Gameweek 23 with a goal in the 3-0 win against Stoke City. Manchester United’s opponents this week are Burnley, who have seen their clean sheets dry up of late, having only kept their opposition out once during their last 5 Premier League games. Now rested after a short break through injury, Lukaku will be aiming to rediscover the form we saw earlier in the season. 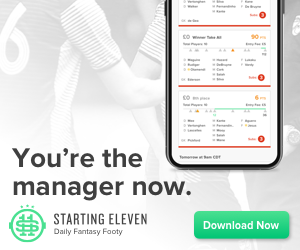 With a lovely fixture run between now and the end of the season you may start finding Jamie Vardy featuring regularly across all fantasy formats. This week’s fixture is no exception as Leicester take on Watford who haven’t managed to keep a clean sheet in any of their last 10 Premier League games. Having scored 9 goals this season and supported by the inform Mahrez, Vardy will find himself getting chances on Saturday. The first name on Pep Guardiola’s team sheet? Kevin De Bruyne can still boast a starting place in all 23 Premier League games so far this season. After the thrilling 4-3 defeat to Liverpool on Sunday, Manchester City will be looking to hit back this weekend and the unfortunate side to face them is Newcastle United. Still topping the Premier League assist table with 11, De Bruyne is building on the reputation he built last season as the most creative midfielder in the league. Shaqiri finds the way into my midfield differential pick even after the 3-0 defeat to Manchester United on Monday night. I thought Stoke were unlucky not to score in the game, particularly Shaqiri who was denied by the incredible David De Gea. Stoke looked impressive at times on Monday and with a new manager at the helm, this is a good opportunity for Stoke to end their losing run. A great run of fixtures starts on Saturday at home to Huddersfield who haven’t won a league game in their last 5 and are now only 4 points off the drop zone. There is more value in this man than most midfielders - racking up those clean sheet points while he roams around his opposition penalty area and takes on some set piece responsibility. Chelsea's opponents on Saturday are Brighton who have only scored 2 goals in their last 4 games. The Blues may have forgotten how to score goals, but with 5 clean sheets in 6 games they sure know how to defend. After being linked with the likes of Arsenal and Manchester City during the January transfer window I expected to see Jonny Evans out of the West Brom match day squad. However, proving that players can fulfil their potential whilst surrounded by transfer speculation, Evans went on to score and also kept a clean sheet during Gameweek 23. With 2 clean sheets in 4 games and taking on an Everton side who have lost their way again, West Brom will be aiming to keep another clean sheet on Saturday. Those clean sheets have returned for Manchester United, 3 now in their last 3 games. On Saturday, United travel to Turf Moor to take on Burnley who have only found the back of the net once during their last 3 games. After reaching as high a 4th in the Premier League, Burnley are now 13 points off their dream Champions League football. It looks like a difficult second half of the season for the Clarets. As I touched on earlier, Chelsea have forgotten how to score and for that reason Ryan is my differential goalkeeper this week. Brighton themselves may be searching for a win, but having kept 3 clean sheets in their last 6 games they are a solid option at the back. Ryan may not make it into many Starting 11 teams this weekend but with Morata suspended, the Brighton shot stopper could be a great gamble pick. My Starting 11 captain this week has to be Kevin De Bruyne, as on Saturday I expect a reaction from Manchester City. 12 points is still in my opinion an impossible task for the chasing pack, however Pep Guardiola will be keen to immediately eradicate memories of their defeat last weekend. Newcastle could be in for a torrid afternoon with de Bruyne causing havoc. How many assists will the Belgian chalk up this time? The start of January saw the first Double Gameweek of the Fantasy Premier League season - and like most of them, it brought plenty of disappointment with it. Let’s rip off one particular Band-Aid right away - the decision to triple captain Harry Kane (TOT, 12.9) was an unmitigated disaster for those who took the plunge. The fact that 10% of world's top 1,000 managers joined them may provide comfort, as should the relative scarcity of those willing to rub their noses in it. Simply put, the rest of us were relieved - we know how different it could have been. When are the next blank and double gameweeks going to be? With the FA Cup and League Cup starting to occupy a bigger share of the FPL radar, we are looking ahead to the next blank and double gameweeks. 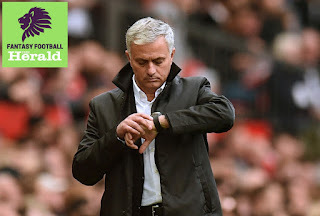 With BGW21 and DGW22 out of the way and the scramble for the right chips to be used, bosses all over the world are keen to find out when they will have to be planning for similar gameweeks again. We've taken a look at the schedules for the Premier League, FA Cup, League Cup and European competitions to work out when the next blank and double gameweeks are going to be. If you’d like to get involved this week by challenging us, simply create your lineups for Gameweek 23 today via the FREE Apple or Android apps. Morata has received some criticism lately, after missing 5 big chances during his last 2 league games. I personally like to look at the positives. He is continuing to get himself into those positions and with Hazard pulling the strings alongside him, more chances will come his way. Their next opponents, Leicester, have conceded 9 goals in their last 5 league games and have only recorded 5 clean sheets all season. I can see Morata proving his critics wrong on Saturday. West Brom are without their captain and, in my opinion, their best defender on Saturday. Call it transfer rumours or call it a foot injury, his presence will be missed. The man that can take advantage is Glenn Murray. After scoring against Bournemouth in Gameweek 22, Murray will be looking to add to his goal tally. He will cause the Baggies problems and their win-less run may continue to persevere. Often the 'forgotten man' as he is often overshadowed by Kane, Eriken and Alli. 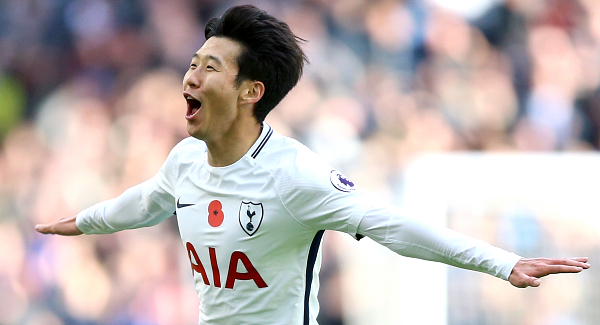 Son has proven his importance to this Tottenham side by scoring 7 and providing 4 assists this season. On Saturday, Spurs take on Everton who have lost both of their previous 2 games, in both of which they conceded twice. With 2 goals and 2 assists in his last 3 games, Son gets the nod for me this week. With 6 goals since August, Doucoure is equal with Kevin De Bruyne and Leroy Sane in the scoring charts. This week Watford host Southampton, who have conceded 13 goals in their last 6 games. With points scored on Starting 11 for passes and tackles, Doucoure is a valuable asset and could prove also to be a valuable differential for you on Saturday. Burnley's defence has suffered lately from missing personnel and by experiencing a tough fixture run. Well, with the return of Tarkowski last week plus a trip to Crystal Palace in Gameweek 23, I am expecting us to see the return of a clean sheet with that solid Burnley defence. Having only conceded 19 goals all season, only the league’s top 3 sides can better their defensive record. Brighton enter their fixture with West Brom having kept 3 clean sheets in their last 5 league games. West Brom’s poor form has taken them to second from bottom in the Premier League, equal on points with bottom club Swansea City. With their captain’s head turned elsewhere this is the time to take advantage, I expect a Brighton win on Saturday and for them to keep a clean sheet in the process. 11 clean sheets this season for the Chelsea shot stopper, including 4 in his last 5 outings. In recent weeks I have backed Leicester’s attacking players, in particular Riyad Mahrez, however we all saw the decline in the Algerian's form last time he was linked with other clubs. With the transfer window open, I think Mahrez will have his head turned again, weakening Leicester’s attack and handing Courtois his 12th clean sheet of the season. After an impressive run of 3 clean sheets in 3 games, West Ham have now failed to shut out their opposition in their last 4. However, Saturday’s trip to Yorkshire gives them the ideal opportunity to tighten up at the back. Huddersfield have only managed to score 2 goals in their last 4 games. I expect West Ham to keep them out again. Morata will continue to get himself into the right positions, the chances will continue to be created, can the Spaniard find the back of the net this week? Leicester have not been reliable defensively all season, even when they went on a winning run in early December, they continued to concede goals. Sometimes you have to go with your gut and this week my gut says Morata will come good. 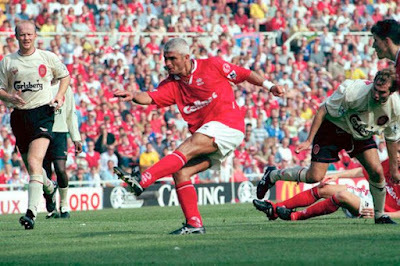 It's the summer of 1996 and the Premier League is rapidly changing. Relive the past by reading my retro recap of this famous match! 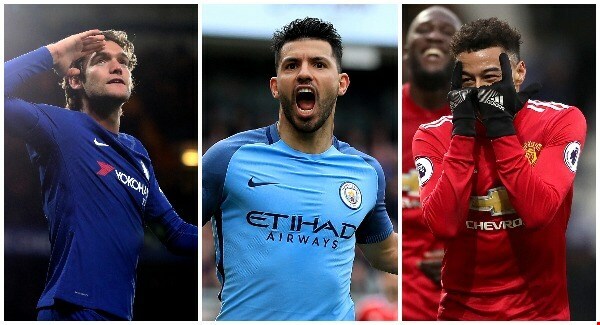 Who has the best fixtures at the start of 2018? The turn of the year always heralds big changes in Fantasy Premier League and managers have to make sure they are in keeping with them. New players are sign for the top flight's 20 clubs in the transfer window but it's also the fixture schedule which tends to take a turn for the better or for the worse at this time of year too. At Herald FPL picked out the teams with the most appealing run of games in the early part of 2018, whether you should trust them to capitalise on their fixtures and who you should be signing or avoiding accordingly.